Are you confused about whether to have your wooden floor in Farnborough buffed and polished or completely restored? Do you need help to assess its condition and decide on the correct course of treatment to bring it back to life? Here’s a summary of the services we offer at the GU14 Farnborough floor sanding and finishing company. Contact us to find out more and to book you free consultation. Over the 20 years of our existence we’ve found that floor sanding has remained our core and most popular service for our customers in Farnborough. We carry out all the necessary repairs to a floor before sanding it down with our specially designed, dust-reducing machines to get it ready for the final staining phase. Stripping away the layers of grime will reveal the fresh, gorgeous wood underneath and this is often a real revelation and a moment of pure magic! Think of a poor, abandoned wooden floor hidden away for years like an orphan in a Dickens novel, without friends or hope! It’s our duty to set it free of that musty old carpet and those layers of caked-on paint and grime. A fresh wooden floor is a real asset to any property and a thing to be cherished rather than disowned. Our floor restoration experts in Farnborough will assess the damage and do what needs to be done to reclaim your abused timbers. Although carrying out repairs to wooden floors in Farnborough is less intrusive than doing a complete restoration it is still skilled work and needs to be done thoroughly. Far from just nailing a few loose boards back down, it may be necessary to repair sub-floor levels, and rotten boards will have to be replaced with matching wood from sustainable sources. We have the tools and experience to do all this with minimum inconvenience. Our Farnborough wood floor staining teams use only the best, latest and most effective eco-friendly stains, varnishes and other finishing products to add the final touch to your newly renovated floorboards. There’s a wide range of finishes to choose from and we’ll help and advise you on which to deploy, and where. Deep, warm staining usually works best in reception areas, whereas more vibrant stains are usually preferred for kids’ rooms. There are also lots of different finishes apart from stains to choose from, and again we’ll be with you all the way with help and advice. They include lacquers, waxes and varnishes of various kinds and they’re all eco-friendly in line with our strict green policy. They all have their uses for different parts of the house and to bring out the effect you want. Replacing separate tiles in a parquet floor to restore the original pattern and make it look as good as when it was first laid is demanding and delicate work. The traditional tiles were fixed into place using adhesives based on bitumen, and this substance is tough and nasty to deal with. It needs to be cut out and replaced by more effective modern adhesives. We do this work on a regular basis and customers are delighted with the results. Even if only a few odd tiles need to be replaced this still takes skill and experience to do it properly. Changes in bonding technology mean that an expert knowledge of bonding methods is needed, so don’t be tempted attack it with superglue and optimism because you’ll probably ruin your beautiful antique parquet flooring beyond redemption if you do! When a hardwood floor does eventually start to lose its shine it will need to be buffed and polished. Buffing is necessary to thoroughly clean it first and when the polish is applied afterwards the transformation will be complete. We recommend doing this every two years for an average domestic floor. Contact us to find out more. Our range of environmentally friendly slivers, silicon and resin products and materials is used to plug the gaps that always eventually develop between floorboards. The gaps allow heat to escape, especially in ground floor rooms, and this pushes up energy bills as well as causing noises. Don’t be tempted to use DIY products because these often fall through the gaps or get sucked out by vacuum cleaners. You need to get your floor buffed and polished every two years on average to keep it looking its best. If there’s a lot of traffic, make this an annual task. As always, we’re here with friendly help and advice so contact us to arrange a buff and polish or to ask any questions. 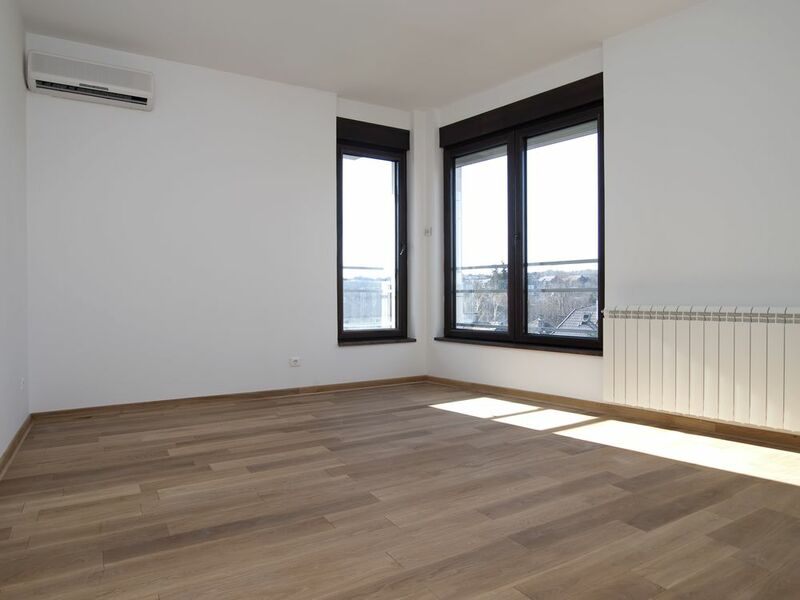 If your wooden floor looks great then this will have a positive impact on clients when they visit your offices, so it makes sense to have it properly renovated and maintained. We’ll do the work outside of office hours if you like, to interfere as little as possible with your daily routine. We’ve been sanding the corridors, halls, gyms, assembly halls and classrooms of schools across Farnborough for 20 years. Although the work can be demanding because of the sheer extent of the floorboards we have the experience and equipment to make short work of it. We’ll work in the holidays to keep the disruption down. Our eco-friendly finishes are chosen for the job in hand, in accordance with the effect you’re looking for, the nature of the wood and the environment. We use our years of expertise to make sure that the finished result is perfect for your requirements.